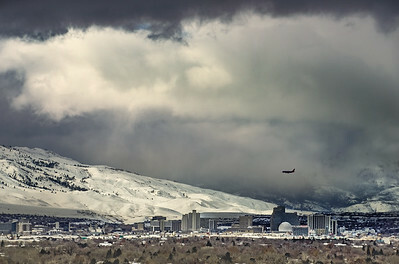 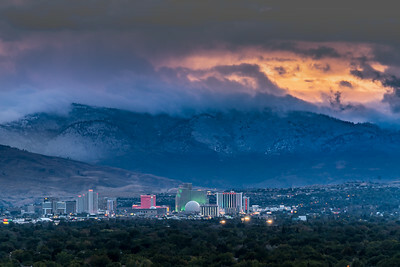 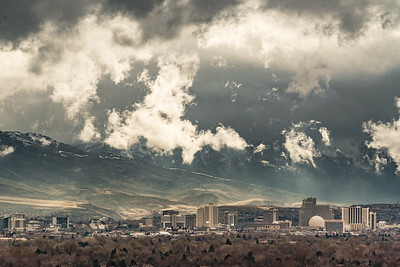 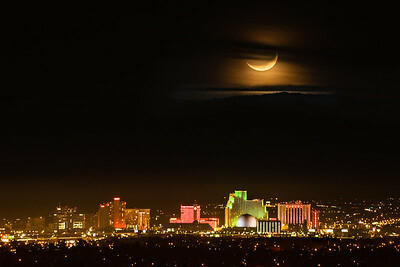 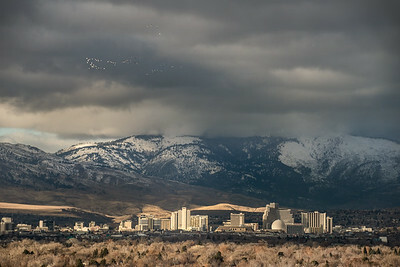 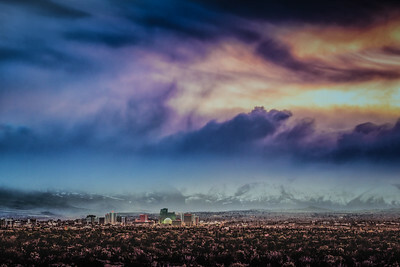 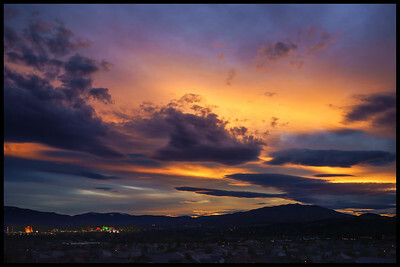 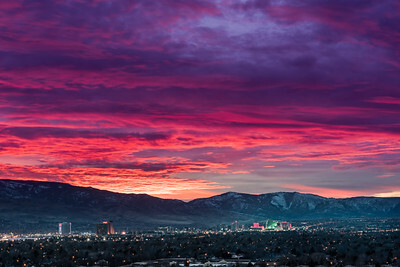 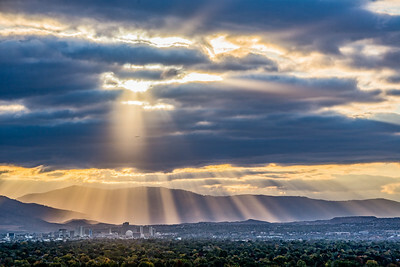 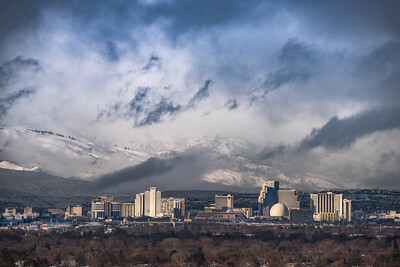 The beautiful Reno skyline in all its moods, storms, sunsets and moon sets. 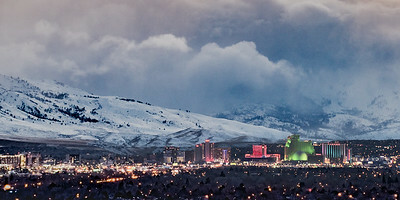 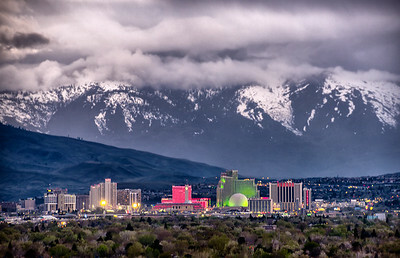 The downtown Reno cityscape features distinctive buildings like the Silver Legacy, the Circus Circus, the Bowling Stadium, the El Dorado, and Harrah's Hotel-Casino. 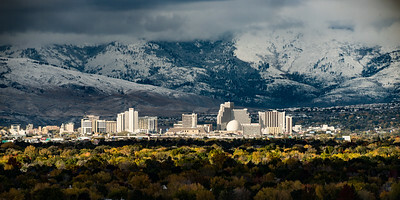 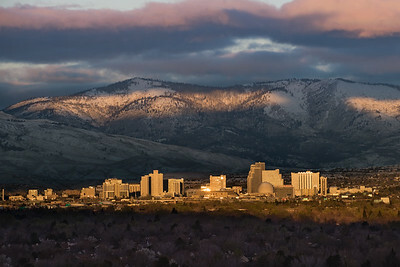 Late fall morning and the sun is shining brightly on downtown Reno Nevada.